FFWPU Albania: On the occasion of the International Day of Peace, the Universal Peace Federation, Family Federation for World Peace and Unification, Women’s Federation for World Peace and the National Institute for the Integration of Albanian Orphans organized a very beautiful event at the “UNESCO” hall of the National Museum in Tirana, the capital of Albania, on September 20th, were around 270 people overfilled the hall. The event was organized in three parts, very wonderfully connected to each-other. This year marks the 10th anniversary of the founding of the Universal Peace Federation. Many Ambassadors for Peace were present and among them were quite some of those who participated at the UPF’s Founders’ Inaugural event held in Tirana in 2005. After explaining the purpose and meaning of the event, the MC, Mr. Gani Rroshi, invited Dr. Arben Malaj, the Chairman of UPF National Peace Council, to give the congratulatory address. 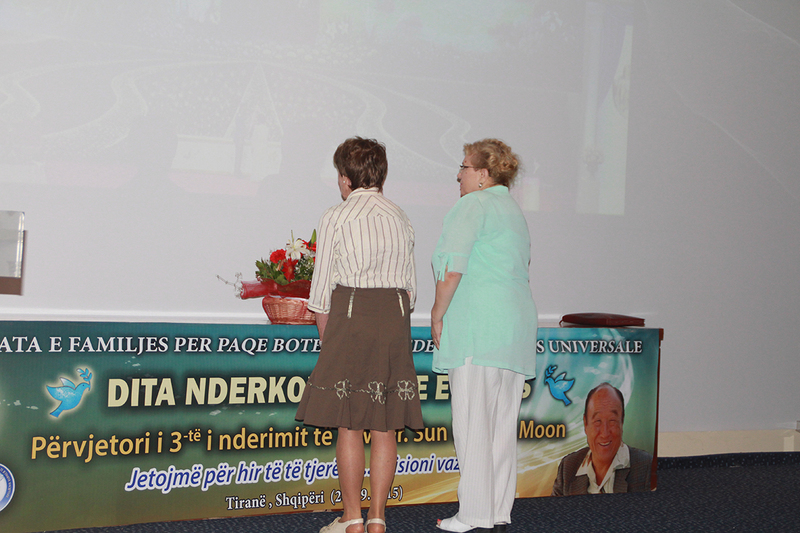 In his address Dr. Malaj emphasized the spirit of living for the sake of others that is the core principle of UPF and Ambassadors for Peace and encouraged everybody to do more for people in need, especially orphans, who, despite their situations, have the same value and potential in front of God. The second part of the event was dedicated to True Father. We wanted to honor the legacy of our True Father on national level on this 3rd anniversary of His Seonghwa. After a moving video presentation on True Father’s achievements, two mothers, Mrs. Elsa Xhai & Mrs. Imihane Shala, representing Albania & Kosovo, as well as Ambassadors for Peace & Blessed Families, offered a bouquet of flowers in front of True Father’s picture. Then two AfP shared their testimonies with participants. First Mr. Gaqo Apostoli, who also attended 3rd anniversary’s events in Korea, shared freely his heart about the greatness of True Father, calling him the Prophet of our times. He also sang a song dedicated to mothers, in respect for True Mother. Then, Mrs. Kozeta Zavalani, the Chair of Tirana Peace Council shared about the role of AfPs and closed her address with the powerful words of True Father poem, The Crown of Glory. In this way, in the third part of the program, the guiding principle of UPF and manifestation of True Father’s life style of Living for the Sake of Others came naturally to light through the distribution of 100 packages with learning tools to 100 orphan children. This became possible through the cooperation of Family Federation for World Peace and Unification and the National Institute for the Integration of Albanian Orphans. Family Federation volunteers did fundraising through the summer to collect funds for orphans. 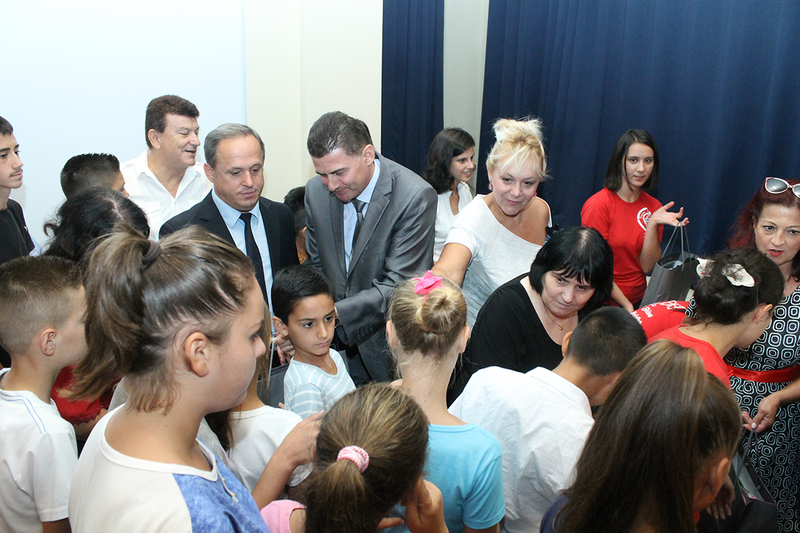 Mr. Ilir Cumani – the General Director of the National Institute for the Integration of Albanian Orphans, after greeting the participants, thanked each of the volunteers by name and encouraged everybody to take their example and helping those in need. 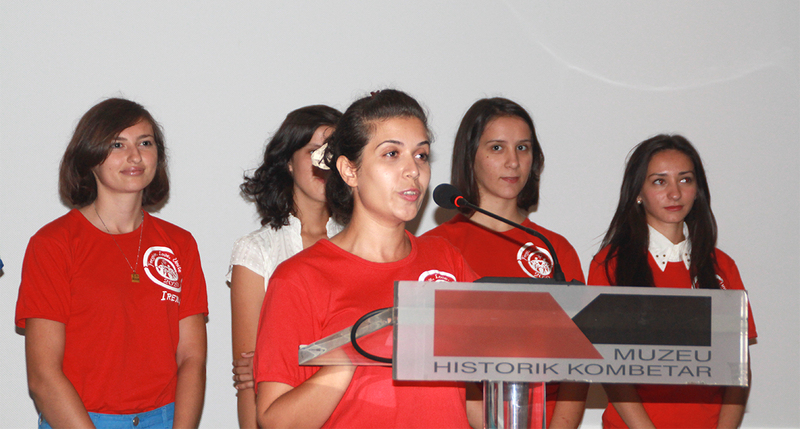 The last speaker was Ms. Irida Shkoza, the leader of the team of volunteers. On behalf of them all, she shared about the beautiful experience they had going around almost the whole nation. She expressed her gratefulness to True Parents for giving this great vision and enabling people to find their true value and see each other as brothers and sisters under on God! At the end, all orphan children were invited to receive the packages through the volunteers and also the Ambassadors for Peace. The event was covered by national and local media. 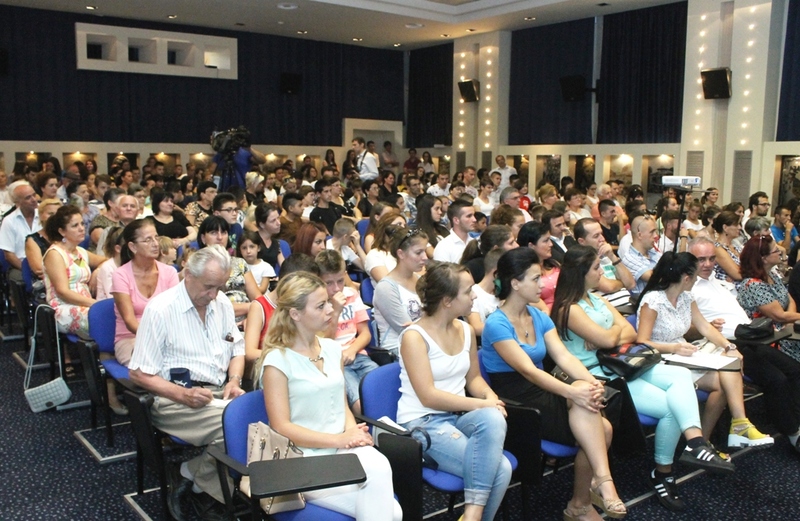 Six TV channels were present and broadcasted sequences from the event on their news editions. 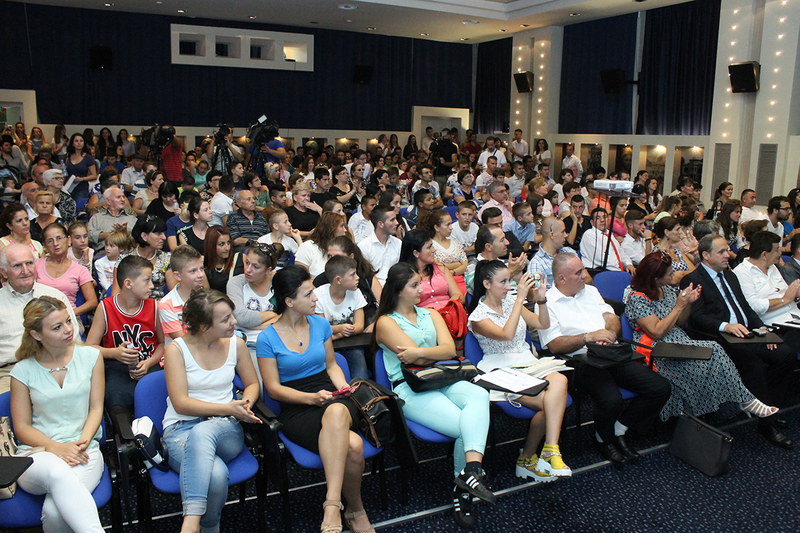 We would like to thank all blessed families and members who came from all communities in Albania and Kosovo and all Ambassadors for Peace who attended for contributing in making this event successful! We wish UPF’s vision and principles and Ambassadors for Peace will continue to inspire people of good will to step up and take the lead in changing this world into a place where everybody naturally lives for the sake of others. We are sure the time is coming when True Parents’ legacy of practicing True Love through living and sacrificing for the sake of others will become the lifestyle of those who want to break down all the boundaries of culture, religion, nationality, race and share God’s blessings as one family under Him. We pray the small gesture of helping some orphan children will inspire many other people and organizations to share their hearts with those in need, because it is then when the greatest joy comes.